You Probably Don't Need Derived State — React 16.4 fixed a bug but this has, in turn, affected some apps that were using an anti-pattern that relied upon the bug(!) Here’s the core team’s look at the problem and some alternative approaches. A Definitive Guide to React Material — Yomi explains how to use Google Material Design theme controls from React apps using the recently released 1.0 of Material-UI. 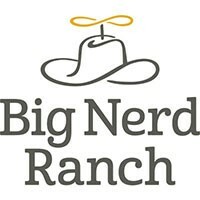 Free, Online Talk with Liz Fong-Jones of Google — Join us June 21 for an online discussion around, “Improving Reliability with Error Budgets and Site Reliability Engineering” hosted by Big Nerd Ranch. A Cheatsheet for React Users using TypeScript — Rounds up a variety of links, tips, and sticking points that you might encounter when working with React from TypeScript for the first time. Five Practices to Boost React Performance — Various techniques to help you measure performance bottlenecks and optimize components. Migrating Medium to React and GraphQL — Medium migrated their existing system to a new architecture based on React and GraphQL. Two major goals of their endeavour, as Medium engineer Sasha T. Solomon explained, were making the new system incrementally available to users while not hindering development of new features. How to Build Your Own Desktop Chat App with React and Electron — A beginner level tutorial that leans heavily on Pusher’s Chatkit service. Supporting React Native at Pinterest — The evaluation process, both from a technical and organizational perspective, that Pinterest undertook in supporting React Native, plus the benefits they found along the way. React Expert? Sign Up for Vettery — Vettery matches top tech talent with fast-growing companies. Take a few minutes to join our platform. Build Custom Pagination with React — Build a custom pagination widget with React to display large datasets in chunks. Build a 'Mask Toggle' Password Input Component — ..using Material-UI. ▶ React Renderer for Your Smart Home — Shows an approach to controlling a few wirelessly connected IoT devices using a custom React renderer. Announcing React Native Copilot — How to use the ‘React Native Copilot’ package — lets you create step-by-step walk-throughs for React Native apps. ▶ Hacking Create React App to Use Preact — In 4 minutes, how a team switched to lightweight React alternative Preact but kept using Create React App. GitHub repo. React Fetches: A Simple Way to Make Requests to REST APIs — It’s quite opinionated so you might not like the approach.